Yeovil have sacked manager Darren Way following the club's poor run of form which has seen them lose 10 of their last 12 matches. 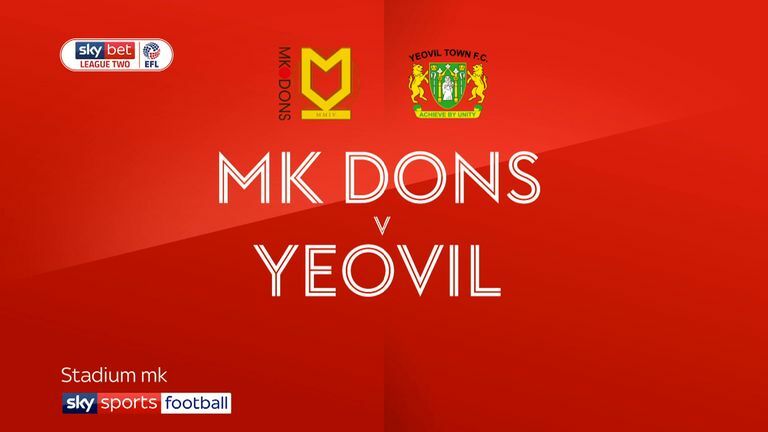 The decision comes after Yeovil lost 2-0 at MK Dons on Saturday, a result which leaves them 22nd in League Two and just two points above the relegation zone. He will be replaced on a temporary basis by Neale Marmon, who recently joined Way's backroom staff. A Yeovil statement confirming the news read: "Whilst Darren's dedication, strong work ethic and potential are all clear, the board of directors has been compelled to act as the run of form in 2019 - including 10 losses in the last 12 games - is not acceptable. "All at Yeovil Town FC wish to place on record our thanks to Darren for his long service and contribution to the club as a key player, coach and manager. We wish Darren nothing but the best for his future. "Neale Marmon has taken on first team manager duties on a temporary basis and we ask all our fans to strongly back him and our talented squad of players in the remaining games this season. "Any additional changes to the first team coaching structure that may occur will be announced in due course." Way became manager at Yeovil in December 2015 - his first job in management - and also spent seven years as a player at the club. Yeovil's proposed new owners Feliciana EFL Ltd issued a statement following Sunday's developments stating it was "unfortunate" while believing it was "an appropriate step". It added: "As important as I believe the off the pitch fan experience is, I recognise that we are engaged in a sport in which wins and losses affect each of us: owners, managers, staff, fans and citizens. "YTFC is involved in a battle to remain in the league and I am confident that it has the talent to do so. I ask the fans to support their team in these last critical weeks. "Finally, I would like to thank Darren for all he has been to Yeovil. As a player, he helped bring the club to unprecedented heights. As a manager, he has battled to make the team the best it could be. As a person, he has been a gentleman and a source of inspiration."